This study deals with the interrelations of the Sustainable Development Goals (SDGs). To illustrate them the authors analyse the production and consumption chain of tobacco products. 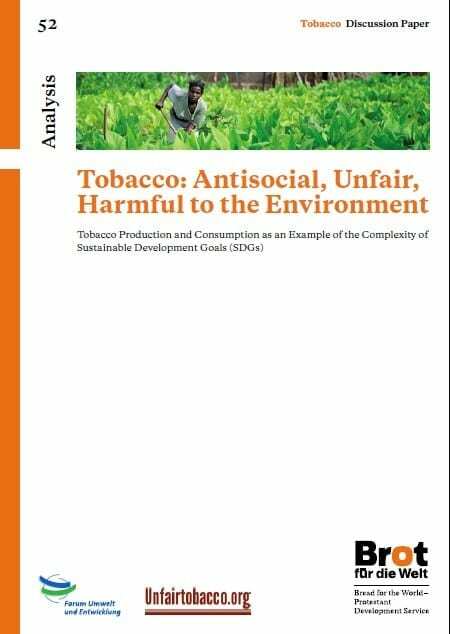 In six chapters, they clearly show to what extent tobacco hinders and counters sustainable development. At the same time, this study offers practical approaches to action and expresses demands towards the actors of the post-2015 debates.